With the sun beating down your heads, it’s necessary to hydrate yourself before your body fluids act all weird and result in that pounding headache. The options in summer are coconut water and sugarcane juice, with the latter drawing more people because of the sweet, nectar-like taste. While some of us would still go to a local gannawalla, we’d want something that doesn’t include a small bag of flies on the side. So, when we came across this stall, smack in the middle of Andheri’s Infiniti Mall, we decided to give it a go. Cane You Feel The Love? 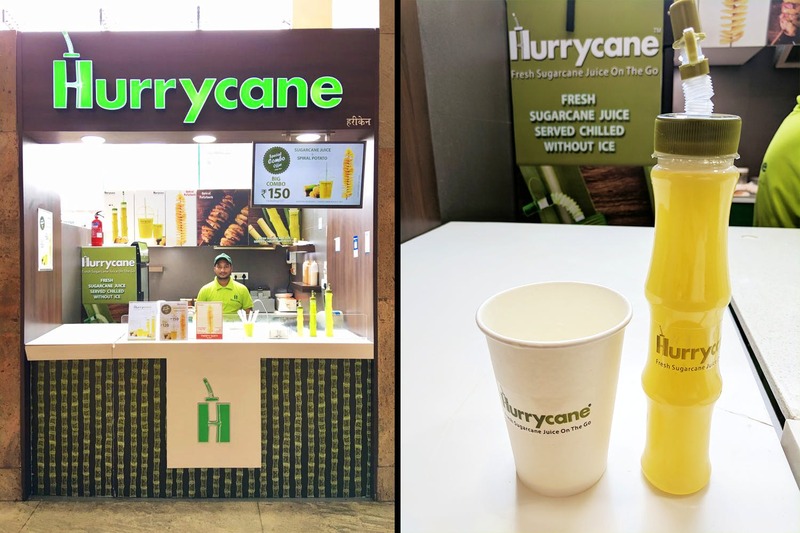 As soon as you enter the food court, it stands out with its bright green board and yes, the name – Hurrycane (we fell in love with the name before the product!). There’s always a rush to try their juice (well, it’s sugarcane, what else would one expect) and when it was our turn, we were asked if we wanted it garnished with either lemon, ginger, black salt or even chaat masala. Our taste buds tingling, we sampled the chaat masala (OMG) and the lemon option. They are available in cute sippy holders and even in regular takeaway cups. We asked them what makes them stand out and they told us about their filtration process, where they claim to take away all the impurities related to the extraction of sugar cane juice. The juices are delicious, and taste even better with the garnishes on offer. They have 14 outlets in the city, and this one is as special. If you’re in the mood for some sweet juice and are in the area, hit this place up and even carry some back home! A small glass is INR 50 and a big glass is INR 70. The bottles are costlier, with the smaller one priced at INR 80 and the larger ones priced at INR 100 and INR 130. Psst: We loved that they used gloves while handling the sugarcane, and even enjoyed the process of the juice being put into the grinder!